Lionel Messi just keeps going. Barça’s 3-0 win over Levante at Camp Nou was his 400th appearance in La Liga, making him the 71st footballer in history to reach that figure. 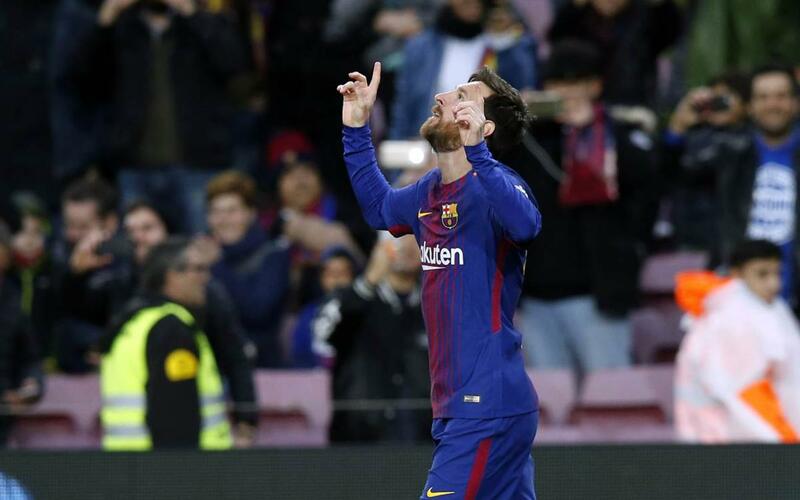 In that time the Argentine has scored 365 goals, 211 at home and 154 away with 24 hat-tricks and on four occasions he has scored four goals in a single game. As everyone knows, Messi is not just a goal scoring machine. In his 400 matches in La Liga, he has conjured up 144 assists, his most recent coming in Sunday’s win against Levante for Paulinho’s goal that made it 3-0. Messi’s performances in La Liga have helped him to be top scorer on four different occasions in the Spanish league and top goalscorer in Europe, claiming four Golden Shoe awards. Another Barça player reached a landmark in Sunday’s win over Levante at Camp Nou. Andrés Iniesta reached 650 official appearances as a blaugrana, his first coming way back on 29 October 2002. The midfielder has 56 goals and 95 assists so far in his FC Barcelona first team career.